THE West Somerset Railway plc-owned Class 04 No. D2271 has been out of use and stored in the sidings at Minehead and Williton since early 2011 following an engine failure. It received an overhaul, including installation of a reconditioned engine previously in WSR’s Class 03 No. D2133, with which an engine swap has been made. No. 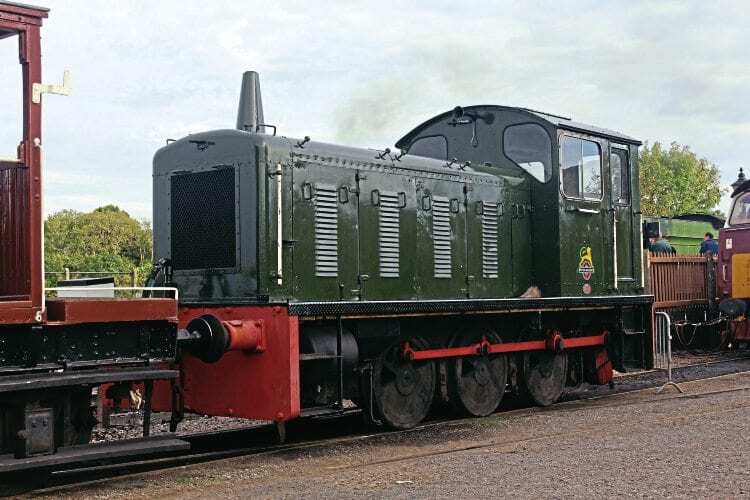 D2271’s Gardener 8L3 engine had previously been repaired and fitted in the ’03’. The lesser-used 04, which was in faded blue livery, has been repainted in plain BR green but has yet to receive its number, as seen in the shed yard at Williton on October 6. The Drewry 0-6-0DM was withdrawn by BR in October 1969 and sold to Booth’s of Rotherham.